I have some sympathy for Vladimir Putin. He inherited a Russia on the bones of its bum. They’d lost the Cold War, were suffering from runaway inflation, and the USA was crowing about being the last remaining superpower. Putin, with his manly pecs and his uncompromising attitude to the West was the iron tonic his people needed to give them back a modicum of self-respect. I could totally see his point in Ukraine. Not that I support the Russian position, but access to the warm waters of the Black Sea and the Aegean has been the driving force of Russian foreign policy for 300 years, and there’s no way they are going to let the gnomes of Brussels create a Euro-zone barrier in that region. I couldn’t suppress a chuckle when the Russian president thumbed his nose at the Obama administration by giving sanctuary to Wikileaks hero Edward Snowden. I can understand his chagrin at the shooting down of a Russian military aircraft on active service by a Turkish F16. Turkey? The last time they beat us was 1710, and the last time we fought a war with them in 1878, we were outside the gates of Istanbul when the British intervened to save them. Putin’s charisma is heavily based on machismo – which has been somewhat tarnished by having that plane shot down, and Putin isn’t happy. I have been blizzarded recently with links to blogs purporting to prove conclusively that Turkey’s President Tayyip Erdoğan and his family are making ‘gadzillions’ of dollars out of an illicit oil trade with ISIS/Daesh, thereby funding that organization and allowing it to continue its dastardly fight against the free world. Well, I don’t have the time or inclination to read all those chatterers. If I had a dollar for every lie disseminated about Turkey’s AK Party since they became the government in 2003 I might not be as rich as Carlos Slim, or even Mr Erdoğan, but I’d have a good wallet-full for a night on the town. One article I did read recently purported to ‘trace how some more authoritarian countries and groups have used the freedom of social media to control their populations’. The four ‘baddies’ were China, Russia, ISIS, and, top of the list, Turkey. The bright spot, according to Time correspondent Ian Bremner, is India, whose ‘Modi government loves social media—and the Indian public loves them for it.’ Proof of this, allegedly, is that India has 143 million social media users. Well, I’m sorry to tell Mr Bremner that that represents a mere one in every nine Indians, compared to the impoverished 23% of the population who subsist on less than $1.25 a day. So I question the wisdom that suggests the number of Facebook and Twitter users accurately reflect the level of democracy in a country. Social media and ‘flash mobs’ were credited with bringing democracy to despot-ruled countries in the Middle East and North Africa during the so-called Arab Spring. Five years on, what’s changed? Egypt’s brief flirtation with democracy was quickly stamped out by the military. Libya since the demise of Muammar Gaddafi has descended into chaos, if I can believe the Libyan students I have in my university classes. I see very little on Facebook indicating that middle-aged White Turk matrons have much awareness of realities in their own country, let alone the world outside. In spite of that, they are delighted to repeat accusations that the Turkish government is financially and militarily supporting ISIS/Daesh – led by its president Tayyip Erdoğan and his sons and daughters raking in their ‘gadzillions’ from immoral black market activities. The blogosphere is buzzing with accusations that Turkey is funding ISIS/Daesh by buying oil from . . . whoever is selling it. One item I was advised to read spoke of ‘ISIS oil: the alleged Erdoğan family and UK business connections’. A key sentence said ‘To help understand the report below, first click here to see maps of the oil routes from ISIS to outside world.’ Well, I clicked on the link, but surprisingly (or not surprisingly) none of the maps showed any oil routes passing through any part of Turkey. So if that was a key basis for the Turkey connection, it seems to be based on a falsehood. The two ‘experts’ cited as sources, Dr Nafeez Ahmed and William Engdahl, journalists both, have, it seems, aroused some controversy in the past over the accuracy and credibility of their ‘research’ and claims. Another of those blogs I checked out informed me, ‘This how ISIS smuggles oil into Turkey’. Barrels of black gold are apparently pumped into underground pipes running under the Turkey-Syrian border, which are then emptied by Turks on the other side. Realistically, I can’t see vast quantities of oil being moved by that method. Undoubtedly there is smuggling across Turkey’s eastern frontier. There is a 1,700 km border adjoining Iraq, Iran and Syria, much of it passing through extremely inhospitable and mountainous country where the rule of law has a tenuous hold at best. Critics insist on calling it a ‘porous’ border, with the implication that the Turkish government is somehow at fault. A major incentive for smuggling into Turkey is the high tax imposed on cigarettes, alcohol and petrol*. The Turkish government has long believed that income from this illicit trade goes towards funding its own local terrorist organization, the Kurdish separatist PKK. As recently as 2011, Turkey’s military attracted some unwelcome publicity after their air force strafed a donkey-mounted convoy of ‘cigarette smugglers’ near Uludere in South East Turkey, killing 35 villagers. It’s all very well to talk about ‘porous’ borders, but when you try to discourage the leaks, you get slagged off for that too. Let’s ask the US government how easy it is to control their 3,000 km border with Mexico. Who can know if fighters are crossing from Turkey to help on the other side? And if so, who are they helping? Kurds, ISIS, or the Anti-Assad opposition? And how many have crossed? Who’s counting? What we do know is that more than two million refugees have fled to Turkey from the chaos and violence in Syria, seriously challenging Turkey’s resources of money and goodwill – and Western countries have been studiously ignoring pleas for help for more than four years. Now they seem to be blaming Turkey for its ‘porous’ 8,300 km sea coast, which should somehow be closed to stop asylum-seekers reaching Europe. ‘Analysts speaking to TIME say it’s very unlikely Ankara has anything to do with ISIS oil — and Putin’s allegation about the incident carries no weight. “To go as far to say that Turkey would shoot down a plane to protect its oil supply is unfounded,” says Valerie Marcel, an associate fellow in energy, environment and resources at London-based think tank Chatham House. President Erdoğan says that, in fact, it is Russians who are involved in assisting the ISIS/Daesh oil trade, and names two Russian passport holders who have been targeted with sanctions by the US Treasury. Despite all the anti-Turkey hysteria circulating on the Internet, leaders of the Western allies seem to have a more positive attitude. Well, one might dispute whether that is actually a good thing, but as far as Turkey is concerned, it’s a welcome change. US administrations have long wanted their Muslim NATO ally to join with them in their Middle East activities, and they are delighted that Turkey is not only participating with military support, but is allowing them to launch raids from Turkey’s Incirlik base. It even seems that the EU is softening its position on membership for Turkey. That may also be a mixed blessing these days, especially since Montenegro has apparently received a firm invitation – but it does represent a change of heart after more than 50 years of European cold-shouldering. Nevertheless, the black propaganda against Turkey continues to pour out from the digital sewers of the World Wide Web. One of the more outlandish accusations I came across this week was a suggestion that Turkey could be about to invade Bulgaria. No evidence offered, of course. Pure unfounded speculation – but that’s what’s out there, so be careful what you believe, or reblog. Russia, I suppose, is merely the most recent entrant into the game of demonizing Turkey. Ever since President Erdoğan called out President Shimon Peres for his country’s inhuman aggression against Palestinians at the 2009 Davos Conference, the Zionist propaganda machine has been churning out lies and misinformation aimed at discrediting Turkey’s government. The Huffington Post published a piece the other day by a Dr Joseph Olmert, a barely coherent rave attacking the ‘failed policy’ of zero problems with neighbours and the ‘neo-Ottomanism’ foreign policy; Turkey’s complicity with ISIS actions; the ‘intolerable’ support to the terrorist Muslim Brotherhood of Egypt; dredging up Turkey’s relations with Cyprus, alleged invasions of Greece’s ‘airspace’, and ‘provocative’ attempts to bring aid to Israel-blockaded Gaza. Isn’t it interesting how a crisis can bring together strange bedfellows? 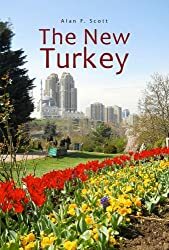 Armchair liberals who were only recently condemning Putin’s Russia for its aggression in the Ukraine are now seemingly eager to believe the Russian president’s outrageous accusations against the government of Turkey. Jewish people, whose ancestors were persecuted for a hundred years in Russian pogroms, are now apparently ready to side with Vladimir Putin against a people with a proud 500-year history of welcoming them and defending them against European oppression. Back in June 2012, A Turkish F4 reconnaissance aircraft was shot down near the Turkish Syrian border. The Syrian military alleged that the Turkish plane had violated Syrian airspace, but there is no record of a warning being given. There were suggestions at the time that the F4 had been shot down by a laser-guided or heat-seeking missile from a Russian warship. The Turkish government swallowed their pride and took no retributive action. In July 2014 a Malaysia Airlines passenger plane was shot down over Ukraine by a Russian-made missile. In the case of the Russian Su24, it was a military aircraft engaged on a bombing mission. The US State Department has confirmed Turkey’s claim that they gave multiple warnings to the pilot, but received no response. The area is a war zone; there are Turkish towns close to the border that have been hit by shells and missiles from the conflict. In this case, Turkey’s military was exercising its right to protect its own airspace, and President Putin has no grounds for anger. The people of Denmark get around a similar problem by shopping across the border in Germany. Turks have no such luxury. This entry was posted in International affairs, international relations, Israel, Russian Empire, Syria, Turkey's foreign policy, Turkish politics, zionism and tagged bombs for freedom, International affairs, Middle East, Syrian refugees, Turkish politics. Bookmark the permalink. Seriously, who was behind shooting down the Russian Bomber; do you think NATO gave the nod? I don’t know, but it wasn’t the first time Russian military aircraft had invaded Turkey’s airspace. I read that the US had warned Russia previously, so I wouldn’t be surprised if Obama and Co had given the go-ahead. I agree with your speculation. Russian bombers have invaded British airspace in the past year, off the coast of Cornwall, yet the RAF can hardly shoot them out of the sky. Turkey doing this could be a (metaphorical and literal) warning shot disguised as the sort of mistake that gets made in and around the borders of warfare zones. Wow, is that true about Russian bombers invading UK airspace! Very interesting! The Russians can hardly say it was a mistake. Still, I guess those bombers weren’t actually attacking anyone at the time. The situation as regards Turkey is a bit different, isn’t it! Too bad the corporate mass media doesn’t follow that advice. The problem we have is that few of us tell the truth or lie all the time – and so we have to decide who’s doing what and when. But, we were given digital, Boolean algebra truth tables, and more complex logic questions, and I also recall the ole Aesop fables, and ancient Oedipus Greek riddles. Interesting that you pointed to this tribal story, as it identified the “tribe always lie”. Substitute the word “tribe” for “institution” and you have the modern civilization dilemma. Fraudsters with honorary titles, dressed in fine suits and ties. I further see no evidence of anyone buying oil from I.S., or are they selling it by the Gallon for cash only? Indeed, “first casualty of war is the Truth”! After that revelation some individuals fall into the next pit of deception upon failing to realize that all sides of the war are deceiving the citizens to support the war effort. Putin, Obama, Merkel,Netanyahu, Hollande, Erdoğan, nor Bashar al-Assad are to be trusted. And the list is far too long as institutions of deception attempt to govern the World. Interesting point about Israel missing out on ISIS/Daesh attacks. It does make one wonder . . . Interesting points raised Alan, and I have no doubt various powers are out to demonise Turkey. However, I do disagree with the shooting down of the Russian bomber. While countries have the right to protect their airspace, a clear and present threat needs to be identified before actually shooting down such an aircraft. I don’t see how Turkey could assume the Russian bomber was a threat to it, knowing full well that Russia is on a bombing campaign in Syria. Turkey later claimed it did not know it was a Russian plane, something I find hard to believe. If it was not Russian, does that mean Turkey was prepared to risk shooting down a US or Israeli plane instead? Yes, shooting down another country’s plane is always going to be risky. Is Turkey’s government so stupid or crazy that they would do it without good reason? I don’t know the answer to that question. If you want to comment on how the Russian plane is downed, you must be aware of the Turkish state’s announcement on “Zero Tolerance” policy about airspace violations after the Syrian government downed a weaponless F4 aircraft, whose mission was to test low altitude radar systems at the ground. It is a fact that Turkish government had no precautions against trade activities regarding ISIS at its borders, it was business as usual; the lack of any action against these activities was heavily criticised in Turkish public media. I bet some people filled their pockets with those trade routes. However, it should be noted that it is ridiculous to assume that Turkish government had a policy to support ISIS which resulted millions upon millions migrants flee towards Turkey. The western media should stop insulting Turkish intelligence. EU countries do not want to pay the blood price resulting from a land operation, while they are holding all strategical positions regarding the competition about future energy issues (you will see it when the Syria is being rebuild after peace talks) in Eastern Mediterranean Sea. I urge you to consider that Russian Defense officials came with a proposition to avoid similar disasters regarding the lack of communication in Air Operations. Domestic and International politics are different sides of the truth as always. We do not bother writing about some facts, if they do not want to listen already. Let them think, we are a bunch of Camel riding farmers. Thanks for you feedback and comments – all of which I agree with.